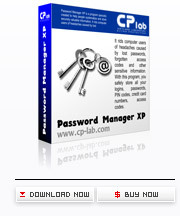 Password Manager XP is a program that helps you to systematize secret information. This tool is a passwords and secrets keeper. You will forget all your headaches about losses of passwords and other important information. You can create passwords databases at shared resource and access them from multiple computers across the network. Also you can run Password Manager XP and work with passwords databases directly on USB flash drives. PacMania - The gameplay is that of the Pacman classics with a number of exciting novelties, such as 3D environment. XNote Stopwatch - Desktop digital stopwatch/countdown timer utility. The program is very flexible and features count-up/down modes, alarm, re-sizable colorful display, 'always on top' mode, system-wide hotkeys, split/lap time feature, different time formats, etc. Personal Archive Creator - Create an electronic product catalog on a CD-ROM with a shopping cart and many other features, including product index. Zero PopUp Killer XP - Zero Popup Killer XP close automatically all internet pop-up windows. Animate Me! - Animate Me! creates GIF and AVI animations on the base of predefined effects. You can define sequence and parameters of separate effects to get peerless animations quickly and easy.